A little while ago, back in August actually, I was a lucky winner of a Facebook competition with Imaginarium Designs chipboard. I was sent a generous pack of assorted chipboard pieces and was told to play! I have some special projects that will be shown on the Imaginarium Designs blog sometime during November so keep a look out for those. But until then here is one that I have created recently. 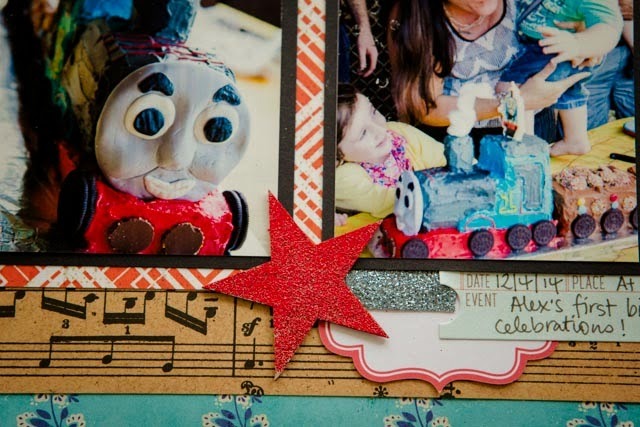 When I saw the train, I just knew that I had to use the photos from my nephews first birthday earlier this year! I coloured in the stars with a silver wink of luna metallic pen (amazing by the way!) and then covered in glossy accents to give some depth to the chipboard. I also used some of the stars that were in assorted sizes. I covered the stars in red glitter Zing embossing powder from American Crafts. It added such a nice sparkle and finish to them! 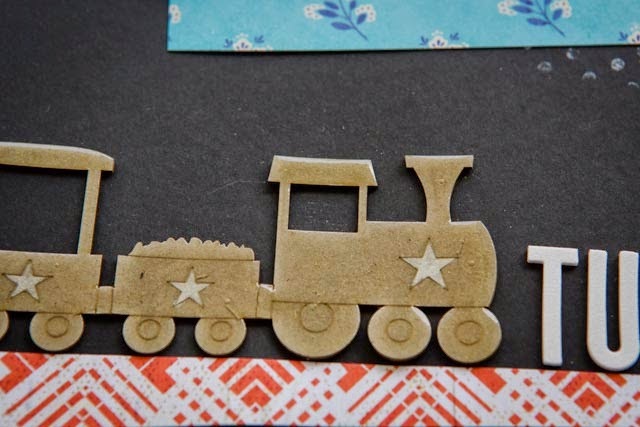 I have had the opportunity to work with ID chipboard before in some of my WW1 projects, and they happen to be a sponsor this month too, so make sure you enter! 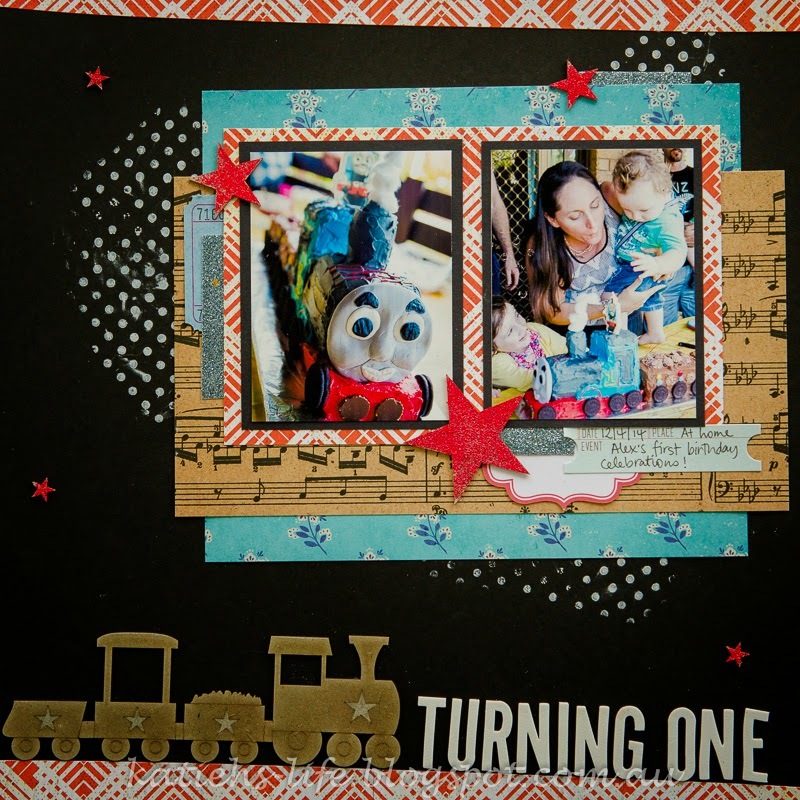 First posts up at D-lish Scraps!